Once upon a time, the Zionist Jews who control America loved President Harry S. Truman. Starting the moment he was sworn in as President following the death of Franklin D. Roosevelt, Truman slavishly followed their dictates. He committed mass murders for them; he ordered the CIA to assassinate top U.S. leaders who were their enemies; he endorsed their socialist economy aims. But most of all, working hand-in-glove with Soviet dictator Joseph Stalin, Truman literally created the Nation of Israel. Yes, Truman is the “Father of Israel.” Under his leadership, Israel was first recognized as an independent state. As I document in my investigative exposé (Available on Tape or CD), against virtually unanimous opposition within his own cabinet and in Congress, on May 14, 1948, President Truman issued a declaration recognizing Israel as a new nation in the Middle East. All Zionists were, of course, ecstatic, but the Zionist elite knew months in advance that Truman would do this. As I explain and prove in my latest investigative report and in my book, Conspiracy of the Six Pointed Star, a Zionist powerbroker, Abraham Feinberg, had, just months before, given the President a two-million dollar bribe—$100 bills packed in suitcases—to recognize Israel. This bribe to Truman, confirmed by recently released FBI archives, means that Israel is today and always has been an illegitimate state established on the basis of a criminal act. The Truman White House was overflowing with Jewish bureaucrats, treacherous Communists, and Israel firsters with little allegiance to the U.S.A. In the Truman White House also was Harry Hopkins, a secret Soviet agent who arranged for Stalin and Russia to be given America’s nuclear blueprints and materials. The fledgling nation of Israel was also given atomic bomb materials and plans. 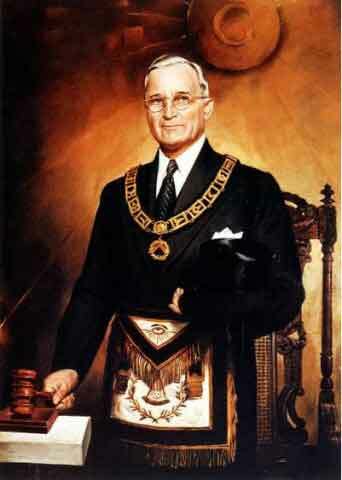 Harry S. Truman was a 33° Mason. 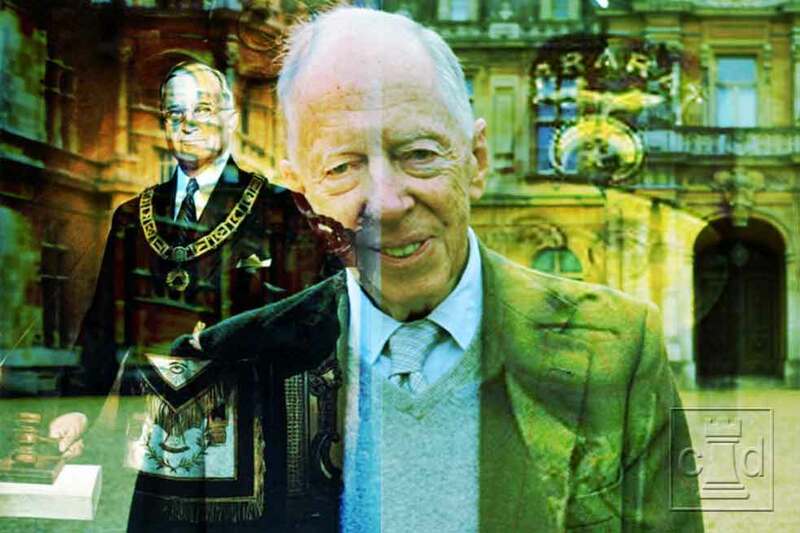 The Masonic Lodge is a Judeo-Satanic cult. His membership gave Truman a great political boost. Two dedicated American patriots, Secretary of Defense James Forrestal and General George Patton, refused to go along with the Jewish treachery and takeover of the White House. Both were cruelly assassinated. Forrestal was “suicided,” being thrown out of a sixteenth floor window. Under orders from his Jewish superiors, Truman used nuclear bombs to massacre hundreds of thousands of Japanese in the cities of Hiroshima and Nagasaki. This in spite of the fact that the Japanese emperor and generals had already petitioned America to allow them to surrender. 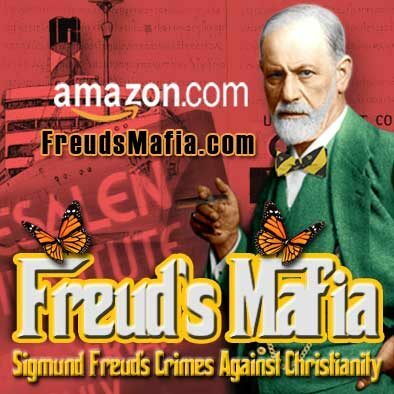 Another massacre of gargantuan proportions occurred in postwar Germany when Truman, at the insistence of Jewish billionaires who were his handlers, Morgenthau and Baruch, ordered that millions of innocent German citizens—men, women, and children—be starved, frozen to death, or otherwise killed. Truman looked the other way when many American servicemen held in German POW camps were turned over to Stalin. The Soviet monster sent the tormented American servicemen to torturous Soviet gulags where they eventually died of overwork and starvation. Implementing what was called the Morgenthau Plan, the psychopath President and his cohort, Stalin, had millions of Germans rounded up and taken to the same concentration camps previously run by the Nazis. In some of these camps (see the book, An Eye for An Eye by John Sack), believe it or not, inhuman Jewish guards and Camp Commandants raped and tortured the German women and children. The heads of little babies were smashed against walls, and male prisoners were often beaten to death. China was turned over to the ruthless Communist, Mao Tse Tung, by Truman. This was a significant blow to Asia and has had the most horrific reverberations for America ever since. Truman and his Jewish bosses refused to allow General MacArthur to vigorously prosecute the war that had broken out in Korea. When the veteran General objected to Truman’s coddling the Communist invaders, he was fired by the cocky President. Many thanks! An abundance of tips! Whoa tons of excellent information. Thanks. Quite a lot of advice. We like to honor several other internet web pages on the web, even though they arent linked to us, by linking to them. Beneath are some webpages really worth checking out. Amazing tons of awesome tips! Whoa loads of terrific data! Do you have a spam dilemma on this weblog I also am a blogger, and I was seeking to know your predicament we have created some good techniques and we are searching to swap approaches with other people, be positive to shoot me an email if interested. Very good way of explaining, and fastidious article to get data regarding my presentation subject make a difference, which i am heading to express in faculty. Just beneath, are a great deal of absolutely not associated net web sites to ours, nonetheless, they could be definitely really value heading more than. Hi there! Do you know if they make any plugins to help with Lookup Motor Optimization? I’m attempting to get my weblog to rank for some qualified search phrases but I’m not looking at quite good outcomes. If you know of any please share. Value it! Rather! This has been a genuinely fantastic write-up. Thanks for offering this info. Appropriate now it looks like Movable Sort is the prime running a blog platform out there appropriate now. (from what I’ve study) Is that what you are employing on your weblog? Hey there! I recently noticed your web site and I undoubtedly appreciate it. I enjoy to communicate about omega xl sometimes. Great to be around, thanks a whole lot! Truly when somebody doesn’t be aware of afterward its up to other viewers that they will support, so here it happens. Do you have a spam difficulty on this weblog I also am a blogger, and I was wanting to know your scenario we have developed some good processes and we are searching to swap techniques with other people, be certain to shoot me an e-mail if intrigued.